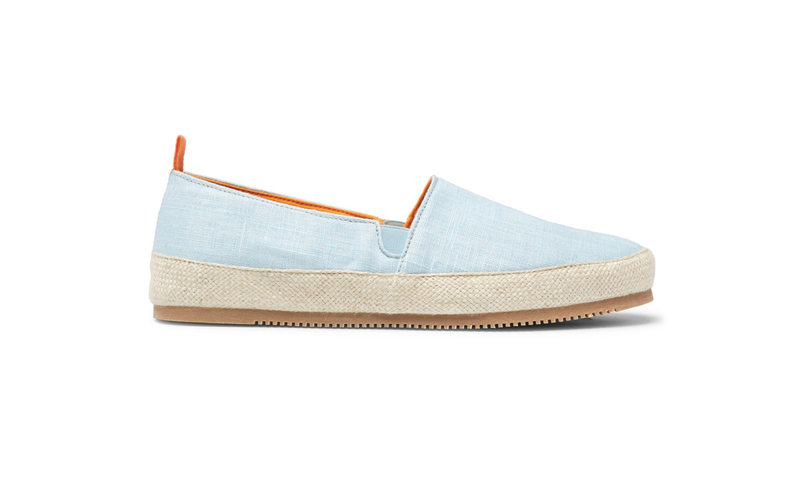 “Espadrilles are the easy, no-fail option. They’re lightweight enough to bust out even in the thickest heat, and the super casual silhouette looks right around the beach and, in a pinch, on the sidewalk. Bring them to the pool, to the tiki bar, and on every vacation”. “Mulo’s take on the shoe uses a thicker rubber sole—all the better for comfort and durability”.